VIDEO Models Own Sticky Fingers! Models Own are my most fave nail varnish brand ever (as I always mention) and Pastel Petals from their Sticky Fingers collection is perfect for a spring summer look! 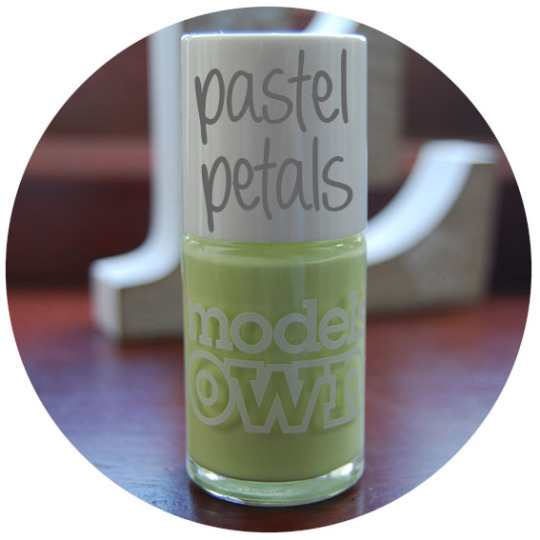 With this polish you get floral stickers to stick onto a lime green background. The polish itself is so cute to wear without the stickers too! Have a look at the video below for pics of thr polish. Models Own yw fy hoff frand o paent gweinedd (fel dwi bob tro’n sôn) ac mae Pastel Petals o’r casgliad Sticky Fingers yn berffaith ar gyfer y gwanwyn a’r hâf! Efo’r paent yma ‘da chi’n cael sticeri blodeuog i’w sticio ar gefndir gwyrdd gola’. Mae lliw y paent yn ddel iawn i’w wisgo heb y sticeri hefyd! Cymerwch olwg ar y fideo isod i gael golwg ar y paent. Y gân yn y fideo yw Byw i’r Funud gan Dyfrig Evans. Blaenorol British Soap Awards 2015 – 5 Best Dressed!